If you are semi truck driver, a serious injury could end your career and leave you coping with medical bills and financial uncertainty. Fortunately, Arkansas laws are in place to protect you and your family if you experience a serious injury while you are working. If you have a new truck driver workers’ comp claim or your claim for benefits has been denied and you need an Arkansas attorney then call the Law Office of Jason M. Hatfield, P.A today at 479-361-3575. Our personal injury attorneys have experience litigating Arkansas and other out of state truck driver workers’ comp claims before both the Arkansas Workers’ Compensation Commission (AWCC) and the Social Security Administration. Slip and Fall Injuries – Falling from an elevation or slipping on a step are common because the trucking facility did not properly mark the area or they utilized mats or rugs that prevented you from seeing the hazard. Inclement weather conditions and failure to make the area safe can also result in serious injuries. Slip and fall accidents can result in serious hip and shoulder injuries. Lifting – Lifting heavy objects while loading and unloading freight can cause serious injuries. Most of lifting related claims are a result of overexertion causing significant neck and back injuries, including disc herniations, disc bulges, and even compression fractures. Falling Objects – Being struck by objects is yet another common reason for driver related injuries. There are many ways a truck driver can be struck by an object including attaching or detaching hitched trailers, opening trailer doors, working with improperly loaded freight, chains or pallet jacks. We’ve seen many debilitating neck injuries and even brain injuries resulting from large falling objects. Equipment Failure – Truck equipment failure is also a big concern, especially if there is a design error causing a defective part. This can also include maintenance issues, which may not have been addressed after post-trip inspections by your employer. 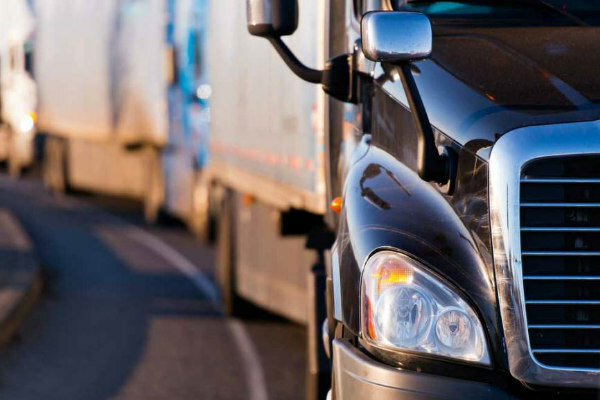 Semi Truck Accidents – Car accident related injuries are extremely common in truck driver injuries, causing more than half of all truck driver fatalities. Truck drivers are at risk of severe injury due to roll over incidents attempting to avoid car accidents. Weather Conditions – Truck drivers are forced to encounter severe weather conditions, because deliveries are usually made on strict timelines. However, loosing control of a tractor trailer can easily cause serious or fatal injuries. Visit our Arkansas Workers’ Compensation Claims for Injured Truck Drivers page to learn more about the Workers’ Comp process for injured truck drivers. Being a truck driver is a very physically demanding job, and takes a toll on a truck driver’s body. It is possible for any simple slip or fall to be a career ending event. In any case, it is important to be aware of your workers compensation rights if an injury does occur. If you’ve been injured in a work-related truck accident contact the Law Office of Jason M. Hatfield, P.A. today at 479-361-3575 for your free no obligation consultation. Hiring an experienced workers’ compensation attorney who understands the trucking industry can make the difference by getting the workers’ compensation benefits you deserve.